Workshop participant demonstrating excellent bowdrill form. Can you imagine that after one day, you could become well versed on wilderness survival and the wild plants you absolutely need to know, or become the best expert on fire making and fire tending in neighborhood? Who do you know that can light a campfire in the cold, using all-natural materials from a wet environment? Maybe a couple people. Who can start a fire without a lighter, matches, or anything from the store? By the end of the day, the answer will probably be you! 9:30 – Eat a good breakfast before arriving, because we will start the workshop promptly with the most critical information everything else flows from: an overview of our order of emergency survival – with or without gear in town or wilderness. We’ll also discuss the most essential tools to carry with you depending on your skill level. For a primer, read our article on the Critical Order of Emergency Survival, and remember, survival requires multi-tasking, so during this time, we will also pass out materials for you to learn the “reverse wrap” method of making rope which you can work on during the powerpoint. We will also discuss a big dilemma in survival situations: when to stay and when to go. We have a formula for you to decide, taking into consideration the amount of daylight, your available gear, your position relative to where you are and who you notified about your trip, and how “hungry, angry, lonely, tired and thirsty” you are. Depending on your score, you will either have to make shelter or navigate your way out of a mock survival scenario. 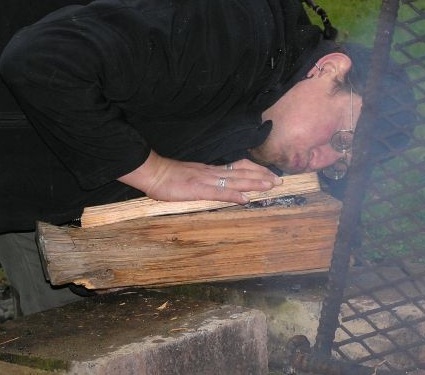 To prepare in advance, check out our article called Breathing into Survival Shelters. Ecstatic participant blows bowdrill coal into flame for the first time. 10:30 – We’ll start this hour with an overview of the Top 10 Most Important Survival Plants which will give you a huge step toward understanding the most critical plants of our region. If you would like to prepare in advance, check out our essays on Grasses, Berries, Nettles, Cattails and Pine. We’ll also spend 15 minutes getting our lunches and preparing for our lunchtime walk. 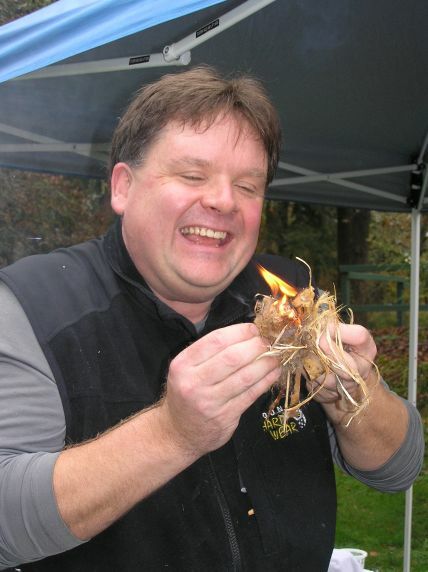 You can bring a lunch along on our plant walk to sample wild edibles, collect medicine, make tinder materials, gather tee-pee fire wood, and collect your own bow for making fire-by-friction. Please note that the reason we will only introduce these skills today, rather than going super in-depth, is that we will have an entire Wild Edible Foods Foraging & Herbal Medicine Making Workshop the following weekend. 11:30 – We will walk you through the Best Way To Make A Fire which is critical for starting fire in the rain. You’ll need to do the same later in the day. We’ll also view a variety of materials to see how they burn as tinder. Can you guess how bark, seed down, leaves, laundry lint, and grass each burn, or which is best for various applications? Finally, we’ll pass out materials for you to make your own tinder bundle. We will start the bow drill portion of the workshop doing knife safety/efficiency training while also reflecting the symbolism of the parts of the bow drill kit, and you will realize why this method of fire-by-friction was preferred (and superior even to matches) for lighting fires in cold and wet climates. It should only take 10 seconds to create a coal if your kit is well constructed. The reason we always emphasize basic fire-making skills along with traditional fire-by-friction is that there’s no reason to bother making a bow-drill coal, let alone striking a match, unless you’ve prepared materials that will sustain your fire. The scenario will require you to choose the best natural shelter and fire location in the area, then see if you can start and maintain a fire. 1:00 – You will be carving your bow into a comfortable size, and tying an adjustable string onto it. We will provide the string, as it is important to use nylon while you are learning because it is critical that you develop good form before worrying about whether natural cordage you made will break. We’ll also bring some small-diameter red cedar tree trunks from which you will saw approximate 3 inch and 12 inch sections to finish your fire kit, including spindle, hearth, hand-hold, and coal-catch plate. We will stop to show you alternatives you would have to look for in the wilderness to make your fire kit without a knife, but again, it is critical that you use good material for your first kit in order to develop excellent form. You’ll finish this hour using your knife to split a 3 inch piece of cedar to make your hand-hold socket, and do the same with your 12 inch piece to create a bottom board and 2 spindle “blanks.” You’ll carve a spindle to the perfect shape, mold your hand-hold into a comfortable socket, prepare points on your hearth in preparation for drilling, and carve one of those points into a perfect-sized notch where your coal will later be born. • Finish bow drill fire kits and practice, or build the Most Practical Survival Shelter alone or with your group. 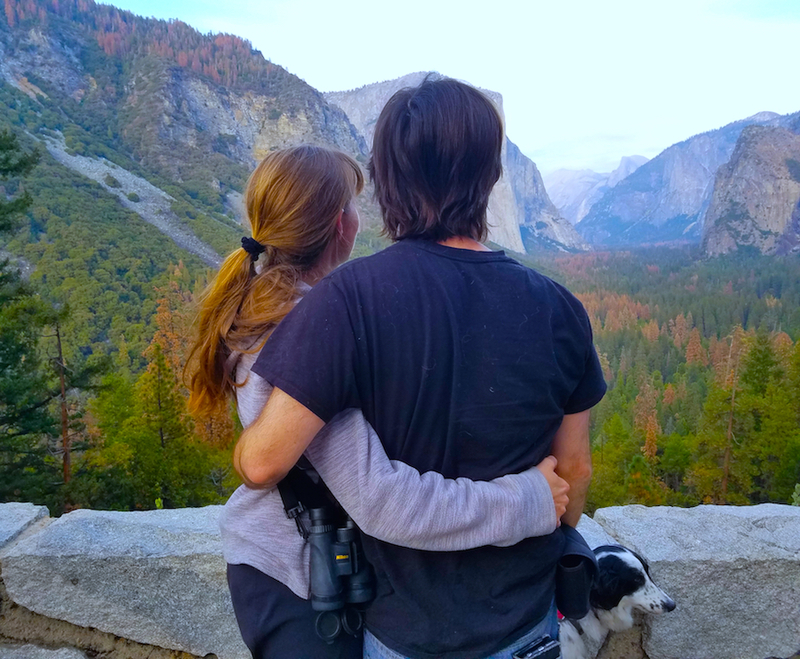 • Learn the Top 10 Hazards to avoid in nature, so that you never experience a survival situation, including what to do in case of encounters with bears, cougars and other wild animals. 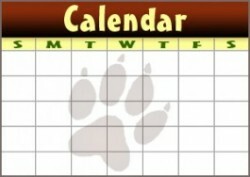 You will receive the same quick training all Wolf Camp instructors receive. Please note that the reason we will only introduce these skills today, rather than going super in-depth, is that we have an entire Wildlife Safety & Awareness Workshop that takes place a month beforehand. 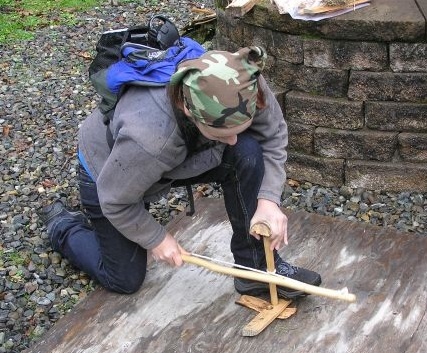 • Finish bow drill fire kits and practice, or carry out a mock wilderness survival scenario, alone or with your group. • Learn use of the use of compass, since it is such a critical skill to prevent lost/survival situations, and for getting out of trouble if unexpected disorientation occurs. We’ll start with risk management tips from our Search & Rescue background, test to see if you are “right or left dominant” when walking in nature, practice awareness skills to improve your spacial recognition including wide-angle vision, give you a hand-out on our Top 10 Lostproofing, Navigation & Orienteering Skills including natural ways to orient yourself to the cardinal directions, methods to negotiate your way through nature without map or compass. We’ll also give you our great 4 step method for navigating with map and compass. Please note that the reason we will only introduce these skills today, rather than going super in-depth, is that we have an entire Backcountry Leadership & Navigation Workshop that takes place in April. Workshop participant working on a burn bowl. Join us for a great day together, and please contact us for carpooling information. Please prepare as you normally would for a hike, including lunch, water bottle, 10 essentials, etc. and dress for any weather. Also, be aware that sparks from the campfire can melt your synthetic clothing, so wool might be a good option. Join us today and at any of our Weekend Workshops on themes of survival, wildlife and ethnobotany, and please contact us for carpooling information. 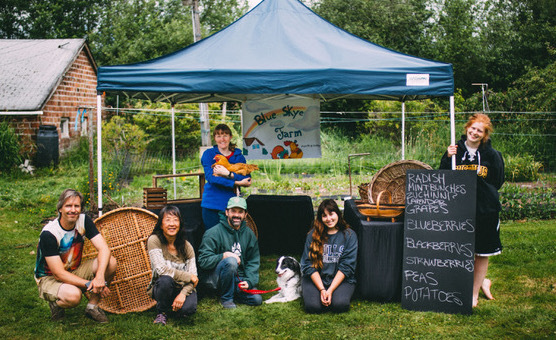 This workshop takes place at the Wolf Camp Home Office – Blue Skye Farm, 1026 14th St SW, Puyallup WA 98371. Please drive slowly along our gravel driveway shared with neighbors in the nice little yellow house, and park along metal fence posts next to the dormant orchard, or behind our old white farmhouse as directed upon arrival. Cost per workshop is $85 general, $75 per additional friend/family member, or just $145 if registering for both workshops together, and includes bow drill kit materials. Please note that we can only scrape the surface in a 7 hour workshop, so if you would like to learn to a more advanced level and have time to really practice your skills, please enroll in our 5 Day Summer Course: Wilderness Survival Training & Trek.